The Kentucky Chamber’s Director of Public Affairs, Chad Harpole, has joined members of the Kentucky World Trade Center on their China Coal & Mining Trade Mission. The trade mission is a ten-day journey to China where participants will explore some of the most advanced technology in the coal mining industry at the China Coal & Mining Expo. Participants will also have an opportunity to see some of this technology being used in the Inner Mongolia mines, which was China’s largest coal producing region in 2009. Below is an account of his first day on the tour, beginning in the city of Shanghai. When asked where the funding for such endeavors comes from, researchers told the group a majority of funding was formerly supplied by the Chinese Government. However, the government now takes a lesser role and the primary source of funding for this research comes from licensing agreements between the universities and industry. The second half of the day was spent at China’s Huaneng Power Group Shidongkou Power Station – a massive 2500 megawatt per day coal-fired power plant located outside Shanghai. The sprawling complex really is three separate plants, with the earliest being built in 1992 and the latest in 2009. 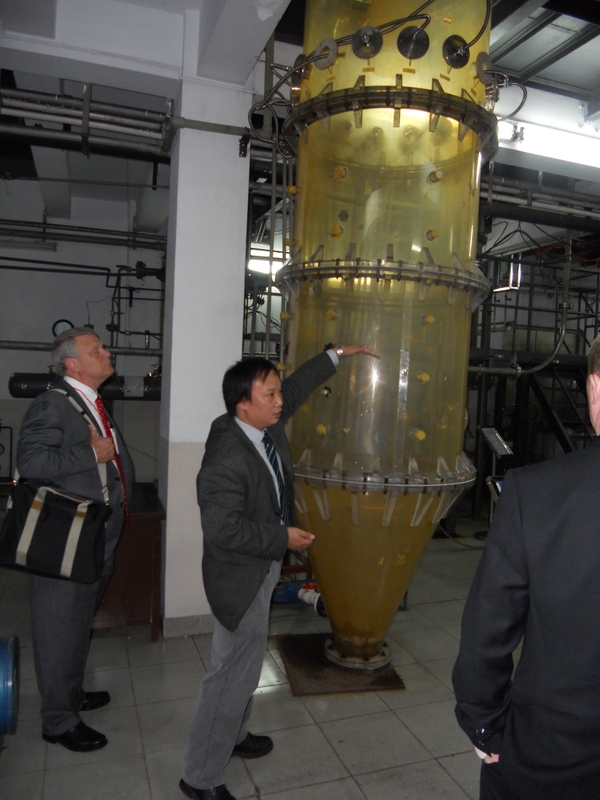 The reason for the plant visit was significant – the Chinese have implemented the first large-scale carbon capture project on a coal-fired plant in the world. The carbon they capture from the emissions is later used in the production of dry ice and other food components, as well as in the construction industry. What is most impressive is China was able to start construction on the carbon capture plant in September of 2009. By December of that year, the plant was in use and the test period showed it was capturing 99.7% of the carbon off the stack. Kentucky will soon have a similar facility, albeit on a smaller scale through a pilot program between E.ON U.S./Kentucky Utilities and the University of Kentucky’s Center for Applied Energy Research.